The model law below is suitable as a basic template for any State law in the United States. 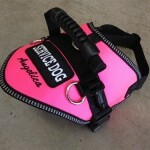 The principles outlined will also be useful for any country or state looking to develop an assistance dog law. 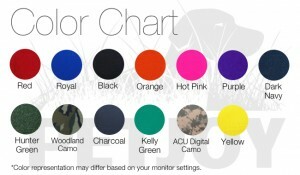 LLS NO. 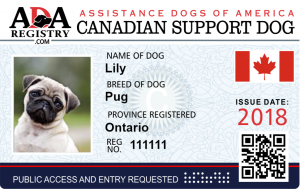 98-0000.01 BILL 98- A BILL, FOR AN ACT CONCERNING THE RIGHTS OF PERSONS WITH ASSISTANCE DOGS. The general assembly hereby declares that it is the policy of the state to encourage and enable the blind, the visually impaired, the deaf, the partially deaf, and the otherwise disabled to participate fully in the social and economic life of the state and engage in remunerative employment. The goals of the state regarding individuals with disabilities are to assure equality of opportunity, full participation, independent living, and economic self sufficiency for such individuals. 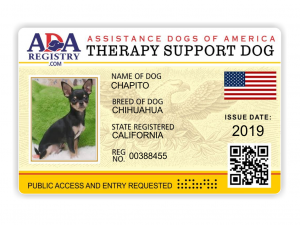 The use of Assistance dogs by these individuals helps facilitate the accomplishment of these goals and should be permitted and encouraged by the State. “Hearing Dog” means a dog that has been or is being specially trained to aid a particular deaf or hard of hearing person. “Service Dog” means a dog that has been or is being specially trained to aid a person with a disability other than sight or hearing. “Housing accommodations” means any real property or portions thereof that is used or occupied, or intended, arranged, or designed to be used or occupied, as the home, residence, or sleeping place of one or more human beings, but does not include any single-family residence, the occupants of which rent, lease, or furnish for compensation to more than one room therein. “Employer” means the State or any political subdivision, commission, department, institution or school district thereof and every other person employing persons within the State; but it does not mean religious organizations or associations, except such organizations or associations supported in whole or in part by money raised by taxation or public borrowing. An “Individual with a Disability” is the same as defined in the Americans with Disabilities Act 1991, including but not limited to, the blind, visually impaired, deaf, hard of hearing, or otherwise disabled. Right to use of public facilities and services. An “Individual with a Disability” the blind, visually impaired, deaf, hard of hearing, or otherwise disabled has the right to be accompanied in or on public streets, highways, walkways, public buildings, public facilities and services, and other public places with an assistance dog specially trained for that person without being required to pay an extra charge for the assistance dog. A person, whether or not he is blind, visually impaired, deaf, hard of hearing or otherwise disabled, has the right to be accompanied in or on public streets, highways, walkways, public buildings, public facilities and services, and other public places with an assistance dog being trained by that person without being required to pay an extra charge for the assistance dog. Right to full and equal access to places of public accommodations. “Individuals with a Disability” including but not limited to, the blind, visually impaired, deaf, hard of hearing, or otherwise disabled have the right to be accompanied by an assistance dog trained for that person in any place of public accommodation without being required to pay an extra charge for the assistance dog. A person, whether or not he is blind, visually impaired, deaf, hard of hearing or otherwise disabled, has the right to be accompanied in any place of public accommodation by an assistance dog being trained by that person without being required to pay an extra charge for the assistance dog. Right to Full and Equal access to transportation. 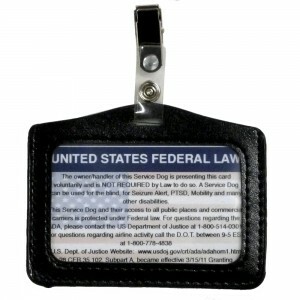 It is unlawful for a common carrier of passengers or other means of public conveyance or transportation operating in this state, including but not limited to motor vehicles, taxis, airplanes, railroad trains, motor buses, streetcars, boats, buses, or other modes of transportation, to refuse service to an “Individual with a disability”, because said person is accompanied by an assistance dog; or charge an additional fee for such assistance dog. A person, whether or not he is blind, visually impaired, deaf, hard of hearing or otherwise disabled, has the right to be accompanied in any common carrier or other means of public conveyance or transportation operating in this state, including but not limited to motor vehicles, taxis, airplanes, railroad trains, motor buses, streetcars, boats, buses, or other modes of transportation, by an assistance dog being trained by that person without being required to pay an extra charge for the assistance dog. An “Individual with a disability” accompanied by an assistance dog are subject to the same conditions and limitations that apply to persons who are not so disabled and accompanied. Right to Full and Equal Housing Accommodations. A Landlord may not refuse to rent, lease or sublet any housing accommodation solely because an assistance dogs will be residing with the prospective tenant of the housing accommodation. Places providing Housing accommodations shall make reasonable modifications in policies, practices and procedures including but not limited to allowing an “Individual with a disability” to be accompanied by an Assistance Dog, especially trained or being trained by that person without being required to pay an extra charge for the Assistance dog. 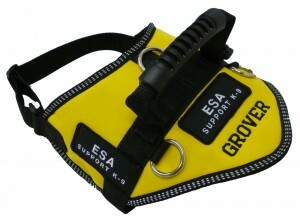 A landlord may require proof that a dog is an assistance dog. 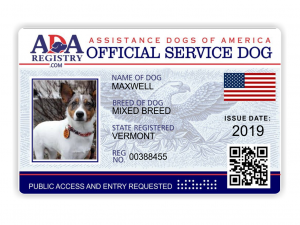 A landlord shall accept as evidence that a dog is an assistance dog, identification cards, other written documentation, presence of harness or markings on harnesses, tags, or the credible verbal assurances of the disabled individual using the dog. Nothing herein shall be construed as requiring an owner of any housing accommodation to make any physical modifications to any property for the purpose of accommodating an assistance dog. Right to full and equal access to places of employment. It is an unlawful employment practice for any employer, labor organization or joint labor-management committee to discriminate against persons with a disability by interfering, directly or indirectly, with the use of an aid or appliance, including an assistance dog by such a person. It is an unlawful employment practice of an employer, directly or indirectly, to refuse to permit an employee with a disability to keep his assistance dog with him at all times in his place of employment. 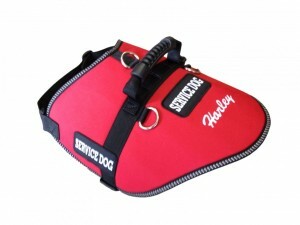 Liability for damage caused by Assistance Dog. An “Individual with a disability”, including but not limited to, the blind, visually impaired, deaf, hard of hearing, or otherwise disabled who uses an assistance dog shall keep the dog properly harnessed or Ieashed, and a person who is injured by the dog because of an “Individual with a disability”, including but not limited to, the blind, visually impaired, deaf, hard of hearing, or otherwise disabled failure to properly harness or leash the dog is entitled to maintain a cause of action for damages in a court of competent jurisdiction under the same laws applicable to other causes brought for the redress of injuries caused by animals. 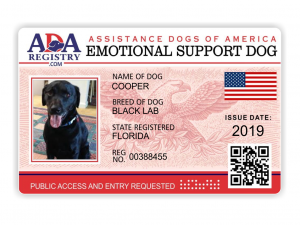 An owner of an assistance dog, or dog in training to be an assistance dog, shall be exempt from all state and local licensing fees or charges that might otherwise apply. Allow another dog to injure an assistance dog or an assistance dog in training. Any person who violates any provision of this part shall be liable to the person whose rights were affected for actual damages for economic loss to be recovered in a civil action in a court in the county where the infringement of rights occurred or where the defendant resides. In any action commenced pursuant to this section, a court may award reasonable attorney fees and costs. Precaution for drivers of motor vehicles approaching pedestrian who is carrying a white cane or using an Assistance Dog. The driver of a vehicle approaching a totally or partially blind pedestrian who is carrying a cane predominately white in color (with or without a red tip) or a blind, visually impaired, deaf, hard of hearing, or otherwise disabled person using an Assistance Dog shall take all necessary precautions to avoid injury to such pedestrian. Any driver who fails to take such precaution shall be liable in damages for any injury caused to such pedestrian and/or any injury caused to the pedestrian’s Assistance Dog. It shall be unlawful for the operator of any vehicle to drive into or upon any crosswalk while there is on such crosswalk, such pedestrian, crossing or attempting to cross the roadway, is such pedestrian indicates his intention to cross or to continue. The failure of any such pedestrian so to signal shall not deprive him of the right of way accorded him by other laws. NOTE: ANY STATES CONSIDERING THE ADOPTION OF THIS MODEL LAW WILL NEED TO CONSIDER THE ADOPTION OF CONFORMING AMENDMENTS TO THEIR CRIMINAL STATUTES, MOTOR VEHICLE STATUTES, LICENSING STATUTES, FAIR EMPLOYMENT STATUTES, FAIR HOUSING STATUTES, CIVIL RIGHTS STATUTES, PUBLIC UTILITY STATUTES/TRANSPORTATION STATUTES.